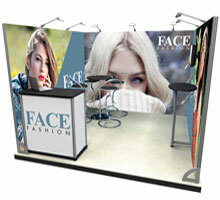 RAL Display has been supplying popup banners for 35 years. Our market knowledge has allowed us to select the most reliable stands on the market. 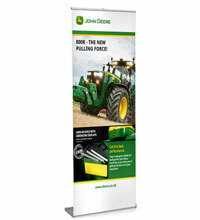 Our range includes pull-up roller banners; fabric covered banners for Velcro posters and linked banners. Portable and lightweight for trouble-free transportation to and from venues. 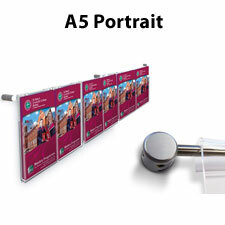 All standard roller banner stands weigh between 5 and 10 kilos and can be easily taken by train, aeroplane or by foot. 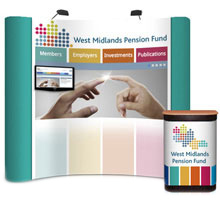 Our banner stands are digitally printed using original HP inks and are finished in a scratch resistant laminate. The UV resistant inks provide a vivid and attractive backdrop for any exhibition. 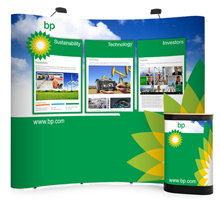 Popup banners are a cost effective display solution starting from a mere £99.00 + VAT. 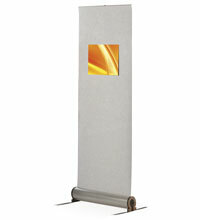 Choose from a range of widths and sizes including 800, 850 and 1000mm. Fast turnaround. 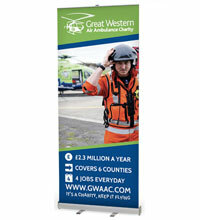 Our popup banners can be produced in 24 to 48 hours from supplied artwork. Please also note that we provide an in-house artwork setup and design service. 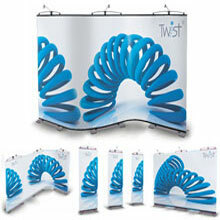 Modular popup banners are available using the Twist banner system. The banners link seamlessly together creating a larger display.